Increasing hardness of metals by suitable treatment, usually involving heating and cooling. 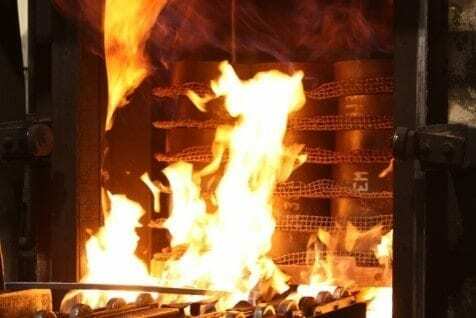 More specific terms include age hardening, case hardening, flame hardening, induction hardening, precipitation hardening, and quench hardening. A form of case hardening that produces a carbon gradient inward from the surface, enabling the surface layer to be hardened by either quenching directly from the carbonizing temperature or by cooling to room temperature, then re-austenitizing and quenching. A process in which a ferrous alloy is case hardened by first being heated in a gaseous atmosphere of such composition that the alloy absorbs carbon and nitrogen simultaneously, and then being cooled at a rate that will produce desired properties.